June 23, 2016, 6 a.m. The Dallas program is one of 14 projects that have won grants from the Knight Foundation in the latest round of the Knight News Challenge. By Joseph Lichterman @ylichterman June 23, 2016, 6 a.m. The Dallas Morning News and Dallas Public Library are partnering together to launch a program that will teach journalism skills to high schoolers. In Dallas, Morning News journalists will teach students how to conduct interviews, write stories, and produce video while the librarians will share best practices for conducting research through the library’s digital resources and databases. The program will launch in September with eight-week workshops at three library branches. The paper and library are still developing the application process, but they initially will limit the program to 60 total students — 20 at each library branch. Huang said he expected about a dozen Morning News journalists to participate in Storytellers Without Borders. Using lessons learned from the first round of sessions, the plan is to run additional workshops in the spring and fall 2017. The idea for the program came out of a talk Mexican journalist Alma Guillermoprieto (Nieman Fellow, class of 2005) gave at the annual Dallas Ideas Festival in February. Inspired by Guillermoprieto’s suggestion for a program that brought together professional writers and journalists to mentor students, the Morning News and library decided to team up and apply for the Knight grant. The project is using the Knight money to hire a program coordinator; fund trainers and guest speakers; purchase digital recorders, cameras, and other equipment; and also build a website that will host the students’ reporting. “It’s a perfect combination of skills and opportunities for us to take teenagers, that are very much glued to the devices in their hands, and get them to look up and see what’s going on in the world around them, and then tell their story,” said Dallas Public Library director Jo Giudice. This isn’t the first time the Morning News and the public library have collaborated. In 2014, the paper worked with the library to form the Hispanic Families Network, another Knight-funded effort that provided parents with smartphones and training on how to report and share information within their community on childhood education. The Morning News also sponsors the library’s Dallas Book Festival. Much of the training for the Hispanic Families Network took place in libraries, and Huang said that the experience helped him and the paper realize the important role public libraries play in many communities. Huang said the paper and library could use the network to recruit students to participate in Storytellers Without Borders. They’re also going to use library resources and possibly work with the local public schools to reach students as well. The Morning News also hosts an annual high school journalism day that invites hundreds of journalism students to spend a day at the paper each March. Huang said they plan to use these networks to recruit students from diverse racial and socio-economic backgrounds. While the focus of the Knight grant is on helping libraries adapt to an increasingly digital world, Huang said Storytellers Without Borders will enable the Morning News to try and reach new audiences in the Dallas area. The other winning projects are also focused on better connecting libraries and communities. Five projects — including Storytellers Without Borders — have won six-figure grants from Knight. Those efforts include a project run by the Online Computer Library Center to make Wikipedia more accessible to librarians and another program that aims to help rural libraries better tell the history of their communities. Another nine projects are each receiving $35,000 in funding to test early stage ideas. Wikipedia is an important information resource, attracting up to 15 percent of all internet visitors per day. Volunteer Wikipedia editors (“Wikipedians”) work collaboratively to make knowledge accessible to all. However, many quality information sources are out of reach to people due to the digital and economic divide. Public libraries provide free, open access to trusted materials, and in many cases house important local information resources. This project will launch a national training program to help make library resources more accessible to Wikipedia editors and train library staff as editors. OCLC Research Program Officer Merrilee Proffitt and the WebJunction team will work with a Wikipedian-in-Residence to build library staff skills in creating and editing Wikipedia articles. With these skills, librarians will be equipped to lead local Wikipedia outreach programs to increase information literacy and encourage community member contributions of knowledge. While libraries and cultural heritage organizations are important to communities around the world, their overall impact on community well-being is difficult to track and measure. Our Story will launch a national pilot that partners with 12 rural American communities across three states in New Mexico, North Carolina and Louisiana to host public library-led history, storytelling and local cultural heritage programs, and measure the impact of these events on local communities. The project will also adapt and incorporate curriculum from Digital Public Library of America’s Public Library Partnership Project, which was created to help small public libraries build digital collections. Libraries will receive tools for running community initiatives such as sentiment-mapping, digital storytelling and exhibit creation, and librarians will receive training and lightweight methods of data collection. Library and journalism professionals are increasingly having to adapt to an information landscape that is in constant flux. To reinforce the community’s stake in the strength of its information resources, the Dallas Public Library will host an intensive community journalism course that provides area high school students with opportunities to grow their information literacy while enhancing public discourse. Library resources and services will serve as the foundation for the course, with branch locations in diverse neighborhoods operating as research centers, technology hubs and venues for interviews with community members. Under the guidance of professional librarians and journalists from The Dallas Morning News, students will be taught journalism best practices, as well as the craft of nonfiction writing and storytelling, while gaining valuable experience using library technology and research tools. 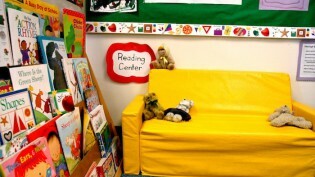 To increase childhood literacy and provide a trusted environment in which children can connect with their incarcerated parents and other family members, Brooklyn Public Library will offer free, quality library-based video visitation services in 12 branches for families who wish to read books, sing songs, visit and stay connected. By providing multiple library access points across the area, the library will help separated families easily and frequently visit and read together, creating a bridge back to the community. While there is a long history of philanthropic funding for libraries in the United States, most public libraries rely on government funding for financial support. Local funding accounts for nearly 85 percent of public library funding, and state funding has decreased nearly 43 percent over the past decade. Foundation Center will develop a data visualization and mapping tool, along with training, for libraries to find and track funding opportunities and increase understanding of funding for both libraries and library supporters. The tool will allow users to search and see funding sources at the national, state and local levels and answer key questions about regional funding trends. Data visualizations such as maps, network connections and partnership pathways will highlight key networks of funders and recipients as well as individual grants. Foundation Center will also deliver grant-seeking training, in-person and online, to build libraries’ capacity to effectively tap new funding sources. Foundation Center will partner with the Digital Public Library of America to leverage its extensive combined national networks to disseminate this tool and training. Enabling people to use multiple library collections to tell stories about their city through open source software that combines archival maps, geospatial data and multimedia pinpoints. 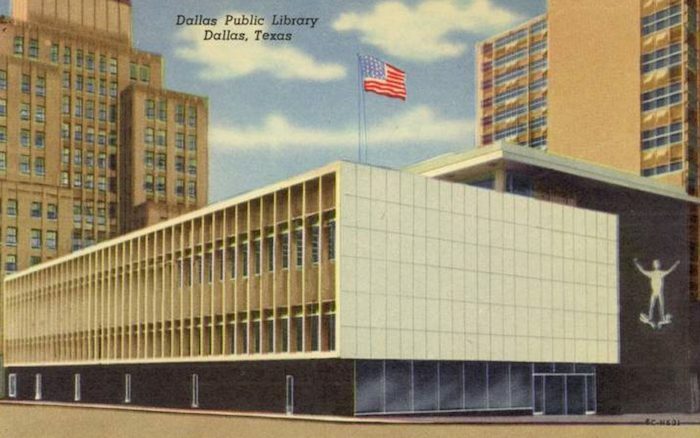 Postcard of the former Dallas Public Library building from coltera used under a Creative Commons license. POSTED June 23, 2016, 6 a.m.
Lichterman, Joseph. "The Dallas Morning News and Dallas Public Library are teaming up to offer workshops for students." Nieman Journalism Lab. Nieman Foundation for Journalism at Harvard, 23 Jun. 2016. Web. 20 Apr. 2019. Lichterman, Joseph. "The Dallas Morning News and Dallas Public Library are teaming up to offer workshops for students." Nieman Journalism Lab. Last modified June 23, 2016. Accessed April 20, 2019. https://www.niemanlab.org/2016/06/the-dallas-morning-news-and-dallas-public-library-are-teaming-up-to-offer-workshops-for-students/.